The world of work has changed rapidly over the last 20 years, but despite this, our way of working hasn’t kept up. With the increasing use of technology, we’re working longer and harder than ever before and finding it harder to concentrate on one task at a time. 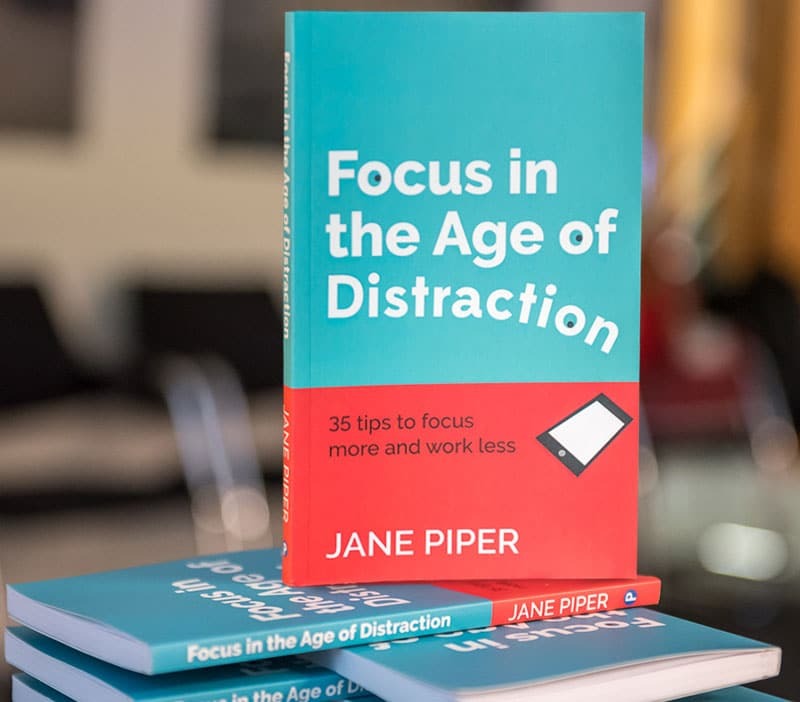 Jane Piper shares 35 tips to help you focus more and work less. Focus your teams to improve productivity and performance in this age of distraction. Workshops where small changes have a big impact. Focus on transforming your organisational culture to meet the challenges of a rapidly changing world. Develop a culture, leadership and teams that allow your people to focus and perform at their best. Focus on what you really want out of your career. Clarify your direction and priorities for work and life. Learn new skills and strategies to deal with the challenges of a demanding professional career. The Financial Services industry has received the dubious honour of being UK’s most stressed industry. We live in an era of information overload. The scarcest resource we have is not our time, but our attention. Music is a great way to relax and regain focus. Sign up to get Pipsy Tips a monthly newsletter with tips, tricks and advice on how to make work better in a digital age. Pipsy GmbH will use the information you provide on this form to be in touch with you and to provide updates and marketing. Please tick below to consent to receiving our email newsletter. You can change your mind at any time by clicking the unsubscribe link in the footer of any email you receive from us, or by contacting us at enquiries@pipsy.ch. We will treat your information with respect. For more information about our privacy please visit our website. By clicking below, you agree that we may process your information in accordance with these terms.